Another FREAKin' Blog: Too Soon? It is often used for a cheap laugh after a topical joke fails. But the question remains how soon is too soon. 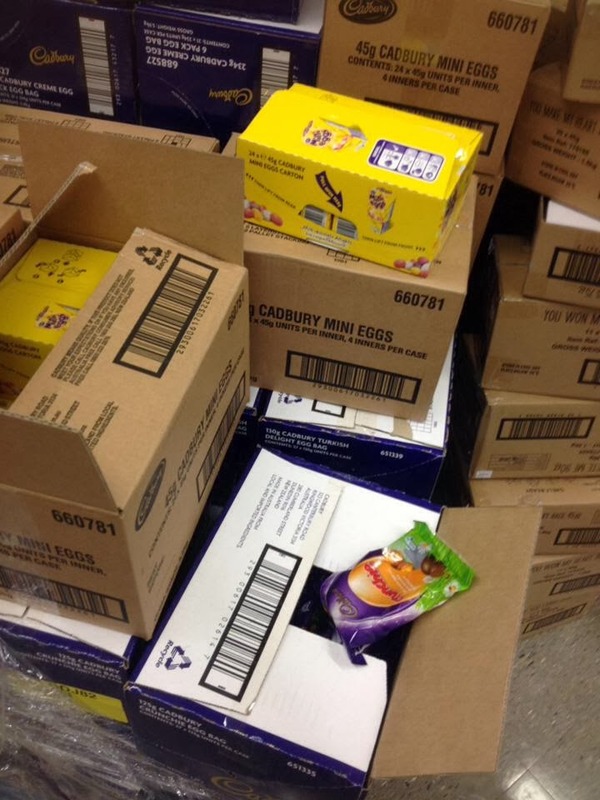 I was at Woolworths today in time to see the first arrival of Easter eggs, only 18 days after Christmas and 98 days before Easter. Some would argue that this is too soon. I say is it perfect as I can now have mince pies (also still on sale) and Easter eggs for dessert. Why was Jesus born if not to die for us all? So who can begrudge retailers for encouraging us to celebrate is as soon as possible. Besides as soon as we kill him off again the sooner we can get to selling food and decorations ready for celebrating his birth. As long as neither the Easter eggs nor their ingredients arrived in the Australia by boat as the Prime Minister Tony Abbott has declared boat arrivals as un-Christian. When it comes to interpretive dance the world declared that 7 days is too soon for it to be included in a memorial service. Tamzanqa Jantjie provided his interpretation of the speeches at Mandela’s public memorial, deaf communities around the world signed foul describing his movements as gibberish. One would argue it is always too soon for interpretive dance, regardless of the circumstance – international memorial or no. 20 weeks. That is all it took to prove that England cricket celebrated its 2013 Ashes victory too soon. England won the series 3-0 (though commentators will debate for generations to come that if not for the English weather Australia would have won the two drawn tests). 20 weeks later England had lost the ashes 5-0 in arguably the most one sided Ashes series ever. Also in the sporting arena, New Zealand learned that being 8-0 up, and only one race win away from a famous victory, is too soon for celebration. In 2013, the Emirates Team New Zealand snatched defeat from the jaws of victory, eventually losing 9-8 to Oracle Team USA in the best of 15 sailing race. Facebook relationship status updates are updated way too soon. A drunken party-pash or one night stand does not a relationship make. Despite this, the urge to tell the world is too strong for so many. Changing their status so quickly one questions if it was post or during the deed. One hand busy pleasuring the other busy posting. You can always tell when the update was too soon as it will be follow up by another update it changes to “it’s complicated”. This change represents the time when the other person realises they have been linked online to a relationship they did not know existed to a person whose name they previously did not know. The only person whose relationship status does actually change this quickly, according to the magazine covers, is Jennifer Anniston.